Today is Mardi Gras, or for me and most in my original locale, Shrove Tuesday, better know to us as Pancake Day! Pancake day is always the last day before Lent, and was back when more people actually observed the practices and traditions of lent, was an opportunity to use up rich fatty foods like milk and eggs prior to the Lenten fasting. My family and immediate neighbours were all protestant, and never really followed the more catholic practices, but we did definitely observe pancake day! Often times pancake suppers were held in the old school, and maybe a time afterwards. These weren’t made from boxed mixes though, flour, lard, eggs from home were the ingredients And we didn’t have maple syrup or Aunt Jamamias. We had homemade syrup made from corn starch or molasses. But they tasted even better because of that! I can remember stacking them, adding a pat of butter between each and then pouring a mess of syrup over the works, ahhh my belly rumbles thinking of it! 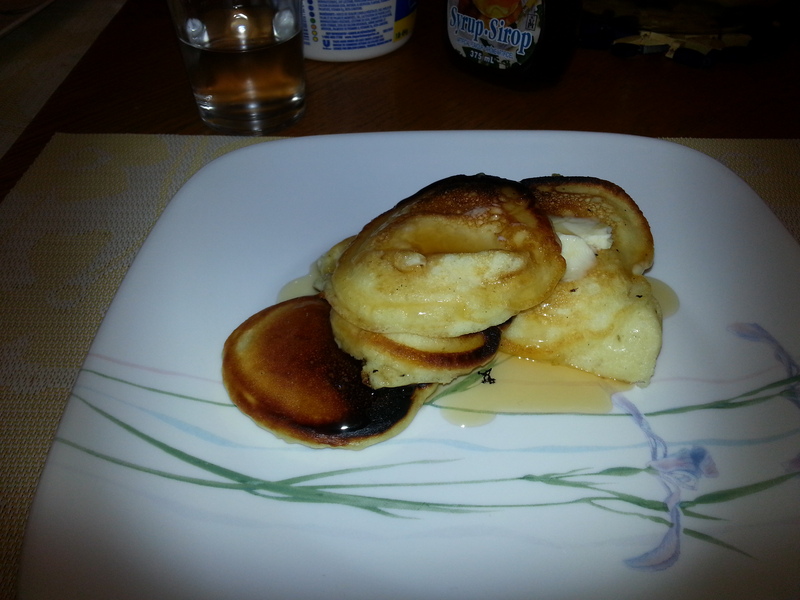 Also….. these weren’t ordinary pancakes, they had special powers! Traditionally on pancake day, the cook would add items to the kids pancakes, not chocolate chips or blueberries, but things like coins, straws, nails, or buttons. These things were powerful portents of what was to come. Find a coin? A bankers life for you. A straw? Farmer it is. Nail? A career in carpentry awaits. A Button? Guess you are going to be a tailor! I’m sure there were other things hiding in there too, I can’t really remember any now though. Comment and let me know what you remember? Gravel Roads Trick or Valentine? Never had ‘Aunt Jemima syrup’ until I left home. We always used either (a) butter & sugar or (b) jam as a topping. …and always put raisins in the pancakes. I remember this well too. It’s a wonder we didn’t choke on a nickel or crack our teeth on a nail. All good memories.